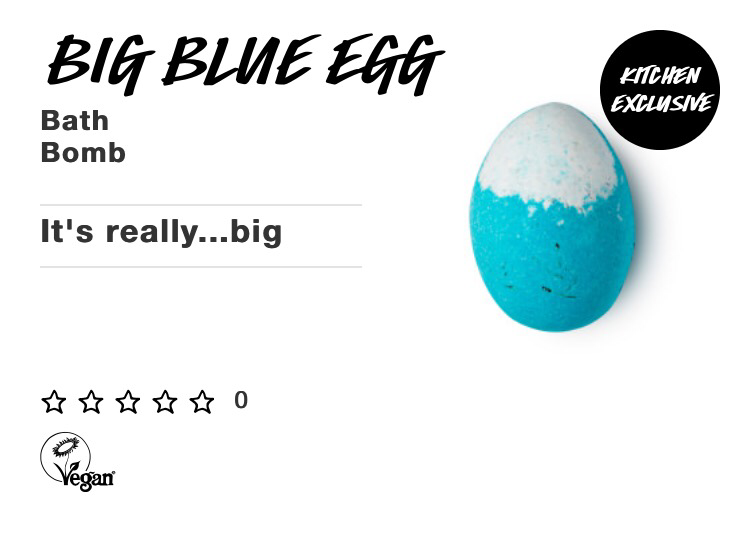 This is a giant egg-shaped ‘Big Blue‘ bath bomb. 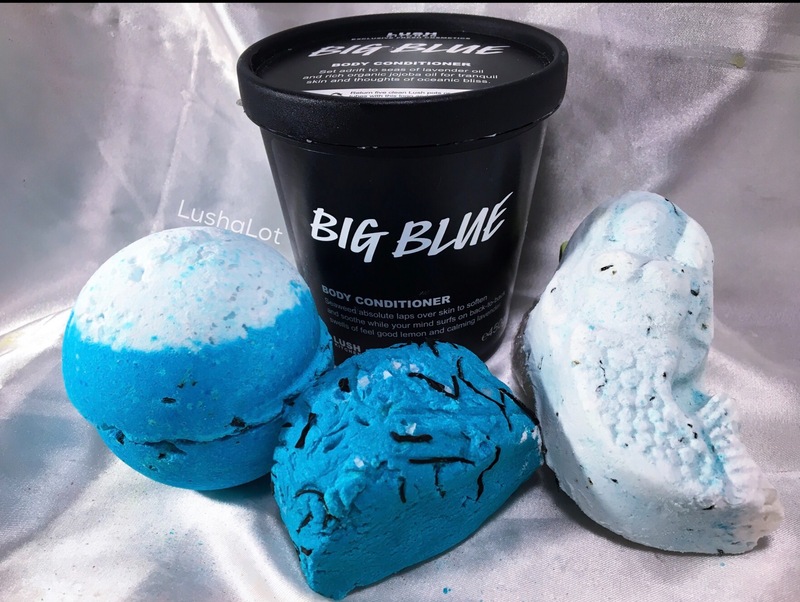 It has the same popular oceanic lemon, lavender and seaweed oil scent as their popular in/store bath bomb. It smells fresh and clean and it does smell like the ocean. It feels like something spa-like. Posted on February 9, 2017 by Lushalot	• This entry was posted in Uncategorized. Bookmark the permalink.